A Brand New Podcast Format, Outlining and Grapes, and Prompts. 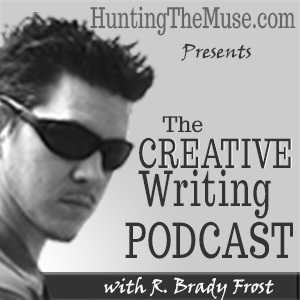 This week's show had a brand new format, the title has been changed to The Hunting the Muse Creative Writing Podcast after a serendipitous happenstance that occurred when submitting the podcast for iTunes approval. Weekly creative writing prompts will still be provided as part of the show. The podcast started out with some personal updates. We visited the Perot Museum in Dallas this last weekend and Pokémon Go launched! We live out in the rural areas East of Dallas, so catching Pokémon and leveling up has been harder for us. The trip to Dallas, however, coincided with the server issues the social game was experiencing, so we didn't actually get to log in and play until just before we headed home. As for writing updates, I am hard at work with Final Hope, the continuation of the Chlorophyllium Collection, which picks up at a high tension point mid-way through Chlorophyllium 9 and expands the shorter work into a full-fledged novel. Chlorophyllium 9, itself, will be included in Final Hope as Part I and lays an important foundation for the rest of the story. For this project, I am increasingly realizing that I get my best word count when I have outlined sections in advance. I cover this in the episode and challenge my long-standing beliefs that I had outlining. There's an abstract story about my childhood friend, Joel, and grapes, which I use to break down the path that brought me to where I am today. If you are interested in learning more about outline vs. writing by the seat of your pants (otherwise known as 'pantsing'), a great resource is: Libbie Hawker's book, Take Off Your Pants! : Outline Your Books for Faster, Better Writing. 1. Did you say something? 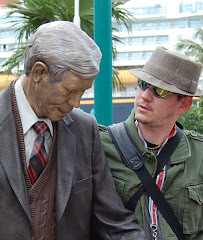 You were going about your business in a public space (a flea market, a farmer's market, or a crowded street), when you catch a snippet of conversation between strangers that sounds out of place and unexplainably alarming, though by itself benign and senseless. For some reason, this odd conversation sticks with you as you get back to the rest of your afternoon. After several hours, however, you come to realize the nonsensical words you'd overheard had a profound correlation to big events that were about to transpire that day. A large storm is brewing and the weather alerts advise taking cover. While you go about bolting the hatches and securing your emergency supplies, it becomes apparent that something else is troubling you. But just as the approaching storm will leave a trail of torrential havoc in its wake, this central conflict threatens to leave its own path of destruction. 3. His name is Fernando. You are walking alone in a park, when you're approached by a dashing young gentleman who appears to be dressed in fancy, old-world attire. When he talks to you, his words sound overly proper, if not downright archaic. He says his name is Fernando and he's lost in this land so far from his own. You're visiting a zoo with friends when someone points out that all the animals you pass by seem to be tracking you with their eyes. Every exhibit is the same. Even if the animals were previously occupied, they immediately stop what they were doing and give you every last bit of their attention. Some approach the edge of their enclosures and lock eyes with you. What is it in their gaze? What are they trying to tell you? You aren't sure why it's happening, but one thing is for sure. You are slowly turning to stone. It started with a hard patch of skin on your big toe that you absently thought you should buff off the next time you took a shower. Now your feet appear to be perfectly lifelike, and mechanically functional, obsidian carvings. What's more, it's still spreading upward at a rate of at least a couple inches per hour. 6. I didn't ask for this. Many epic tales start with a call to adventure or a specific point where the hero must make a choice. You've just been given that choice, but you're tired of being the hero. You decide to let fate play out. Maybe someone else will step up and take the torch. What happens as a result of your decision? Does fate let you stay on the sidelines, or does she thrust you back into the thick of it? 7. The damsel in distress.